This level is one of the hardest level as you have just 21 moves and the breaking of 14 jellies with chocolates in bottom part of board will use lot of moves. First you should try to make lot of special candies and then after you have more then four five then try to combine with each other and try to break all chocolates. You might need many striped candies and try to combine striped candy with colorbomb to break more jellies. We completed this level with 150260 score and luckily got two colorbombs that help to end level within all moves after lot of try. I have read,& tried to follow & DO every thing that has been suggested. 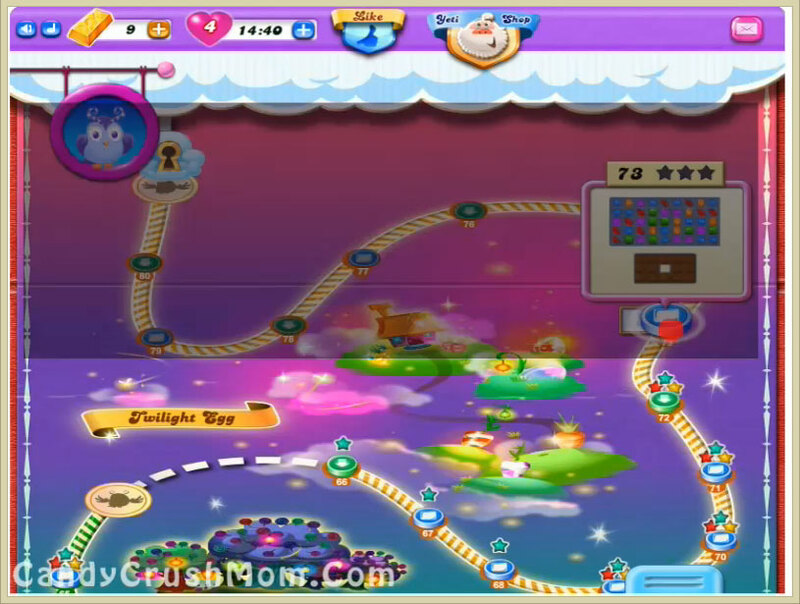 I still HAVEN`T BEEN ABLE TO GET PAST LEVEL 73 in the DREAMWORLD part of CANDY CRUSH SAGA. Do you know of any other TIPS or TRICKS that I might be able to try? I dont understand how to get off level 73 ive tried everything ive read. It gets to a point of notbgeing fun anymore there s/b a penalty,but after so many tries you could move on. Usualy i just get frustrated and uninstall the game and go on tobanother. If inwanted frustration id pkay chess with my uncle! !